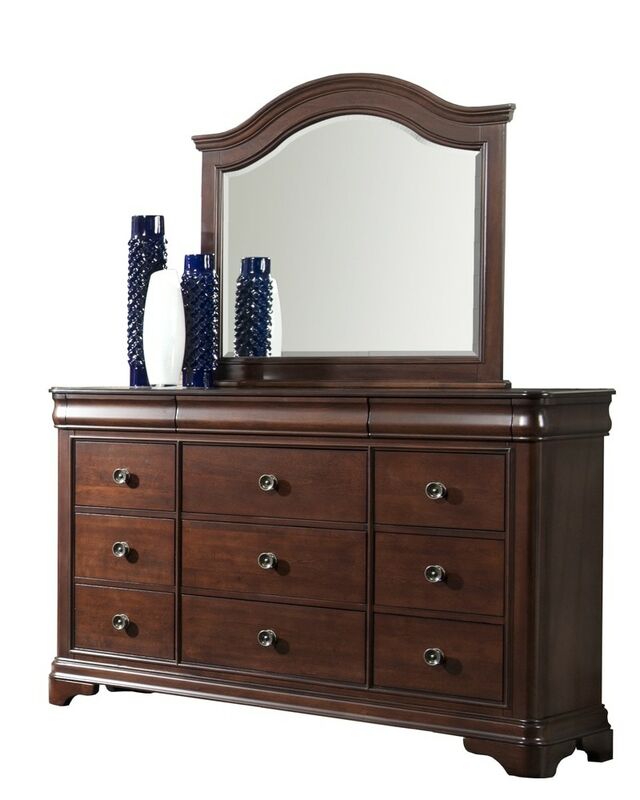 The graceful Conley collection combines curves, sleek lines and a warm cherry finish to render classic refinement. The twelve drawer dresser is solidly built with custom select hardwoods and birch veneers. Full extension metal side glides provides smooth drawer operation, function, and easy access. The three top hidden drawers feature felt-lining which offers a safe place for your treasured items. The beautif beveled mirror is surrounded with an elegant arched frame. The perfect combination!